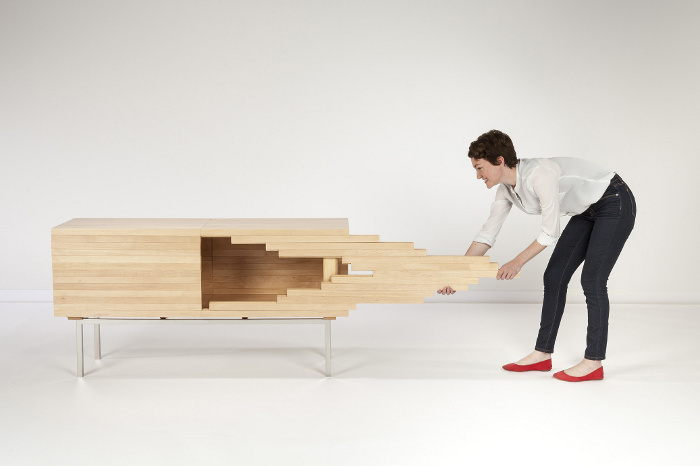 If you read 6sqft regularly, you probably know by now that we can’t get enough of New York designer Sebastian Errazuriz‘s industrial designs. We’ve previously featured his quirky, spiky-skinned chest, a giant golden cow piñata on show in Sunset Park, and more recently, his yawning video installation looping in Times Square. If you haven’t tired of him yet, get ready for another of his fantastical creations: Mahogani Explosion, a seemingly boring wooden chest that “explodes” to the sides as it’s opened. 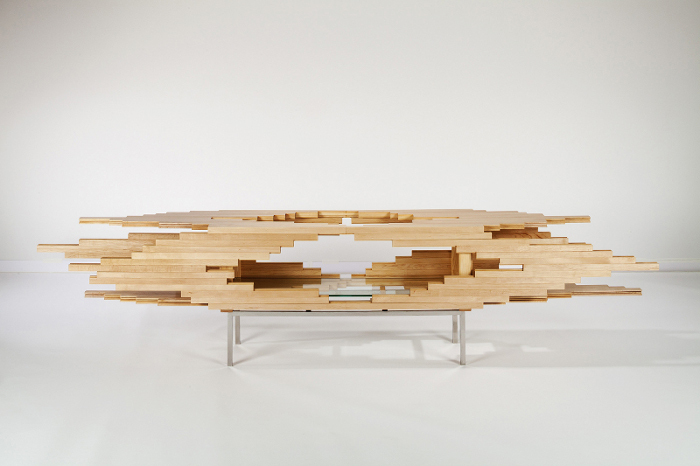 Through his eclectic work, which ranges from furniture to public installations, Errazuriz aims to provoke thoughts that make us reconsider the objects we surround ourselves with daily. 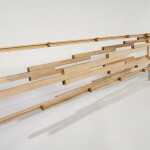 In that vein, his Mahogani Explosion is meant to look innocuous at first, but upon further exploration, and after a gentle push, the wooden beams of the piece slide open to become a completely different object. 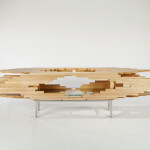 Made from maple wood, glass and stainless steel, the cabinet measures 29 inches x 56 inches x 15 inches when closed. 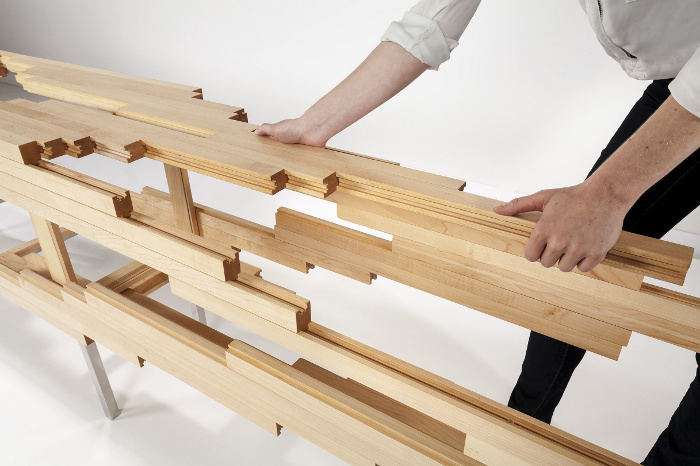 Despite its fiery name, the chest’s design and materialization was actually a slow and detailed process. 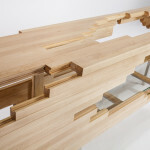 Its complex mechanics use sliding dovetail joints (a traditional technique in cabinetry) and the method of construction took more than a year to perfect. 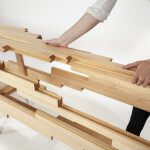 You can check out Sebastian’s other work here.